Publisher Description: An explosive thriller debut introducing Peter Ash, a veteran who finds that the demons of war aren’t easily left behind . . .
Peter Ash came home from the wars in Iraq and Afghanistan with only one souvenir: what he calls his “white static,” the buzzing claustrophobia due to post-traumatic stress that has driven him to spend a year roaming in nature, sleeping under the stars. But when a friend from the Marines commits suicide, Ash returns to civilization to help the man’s widow with some home repairs. Under her dilapidated porch, he finds more than he bargained for: the largest, ugliest, meanest dog he’s ever encountered . . . and a Samsonite suitcase stuffed with cash and explosives. As Ash begins to investigate this unexpected discovery, he finds himself at the center of a plot that is far larger than he could have imagined . . . and it may lead straight back to the world he thought he’d left for good. Suspenseful and thrilling, and featuring a compelling new hero, The Drifter is an exciting debut from a fresh voice in crime fiction. For all of you who love books about books (so meta! ), here comes another for the younger set. Publisher Description: Hold this book gently because it’s very sleepy! A mouse inside the pages invites you to read the book a bedtime story, tuck it in with a cozy blanket, and give it a hug and a kiss. Oh, and don’t forget to ask whether it brushed its teeth and went pee-pee! Then turn off the light. There. Shhh! 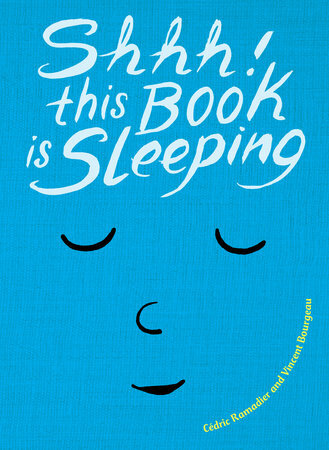 This book is sleeping! Fans of Press Here and The Monster at the End of This Book will enjoy coaxing the very book they’re holding to go to sleep. 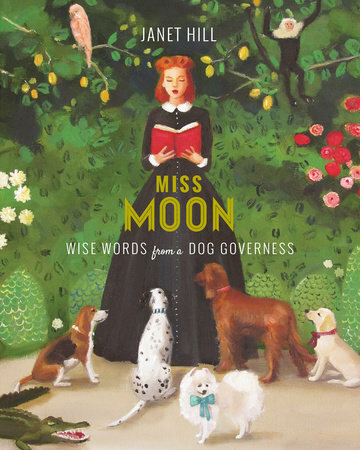 Publisher Description: Miss Wilhelmina Moon is a dog governess. At her first placement, on a small island off the coast of France, her new charges – sixty-seven dogs of all shapes, sizes and colors – run wild. But armed with patience and a passion for teaching, as well as her companions, Mitford the monkey and Petunia the French bulldog, Miss Moon soon imparts twenty important lessons to her furry brood. Some are practical, some are playful, one or two are a little unusual, but all are necessary for the raising of happy, healthy and well-mannered dogs (and humans). Publishers Description: A gorgeously written tale of magic, friendship, and self-discovery set in a dream-like landscape filled with fairies. 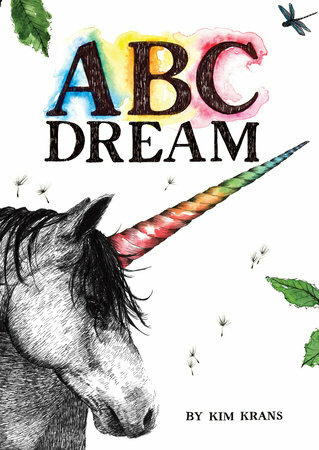 Publisher Description: This stunning and innovative alphabet picture book will dazzle little ones and engage the adults who share it with them! Each page is dedicated to a letter, and clever alliterations are packed into each ink-and-watercolor spread. This gem comes to us from Kim Krans, the creator of The Wild Unknown—a lifestyle website offering prints, calendars, and more. Publisher Description: When Samuel, a lonely linguistics lecturer, wakes up on New Year’s Day, he is convinced that the year ahead will bring nothing more than passive verbs and un-italicized moments—until an unexpected visitor slips into his Barcelona apartment and refuses to leave. The appearance of Mishima, a stray, brindle-furred cat, leads Samuel from the comforts of his favorite books, foreign films, and classical music to places he’s never been (next door) and to people he might never have met (his neighbor Titus, with whom he’s never exchanged a word). Even better, Mishima leads him back to the mysterious Gabriela, whom he thought he’d lost long before. Publisher Description: Natalie’s last summer in her small Kentucky hometown is off to a magical start…until she starts seeing the “wrong things.” They’re just momentary glimpses at first—her front door is red instead of its usual green, there’s a pre-school where the garden store should be. But then her whole town disappears for hours, fading away into rolling hills and grazing buffalo, and Nat knows something isn’t right. Publisher Description: For the many amateurs and professionals who write about themselves—bloggers, journal-keepers, aspiring essayists, and memoirists—this book offers inspiration, encouragement, and pithy, practical advice. Twenty of America’s bestselling memoirists share their innermost thoughts and hard-earned tips with veteran author Meredith Maran, revealing what drives them to tell their personal stories, and the nuts and bolts of how they do it. Speaking frankly about issues ranging from turning oneself into an authentic, compelling character to exposing hard truths, these successful authors disclose what keeps them going, what gets in their way, and what they love most—and least—about writing about themselves. 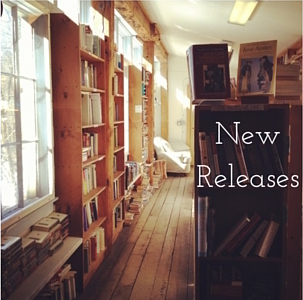 Posted on January 3, 2016 January 1, 2016 by WildlyLivedPosted in Series: new releaseTagged 2016 new releases, book, book recommendations, books, Genre: picture books, read, reading.